Less Than 1 Year Old! Why Wait For the Builder? Fresh 2 Bedrooms + Den available in an upscale, gated active adult community. 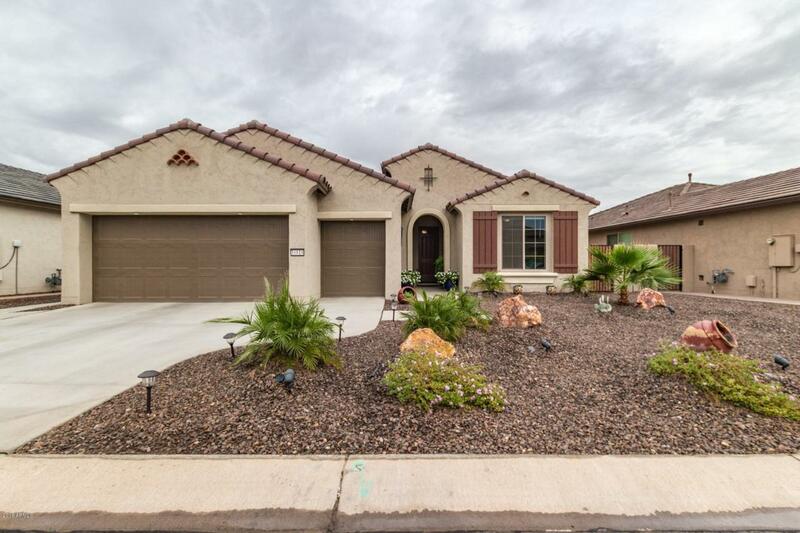 This Sara model has a 2.5 Car Garage PLUS a Fenced Yard! 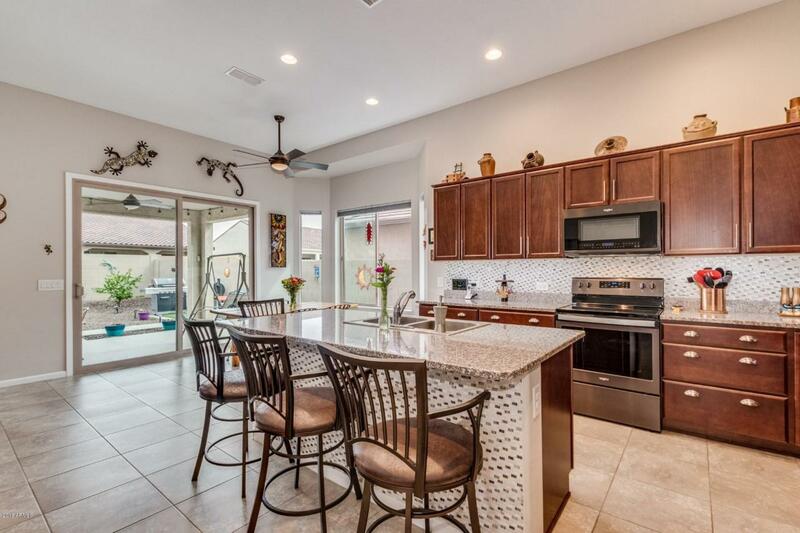 Stunning with sleek granite counters & island in the Kitchen. Textured basket weave tile on the back splash & island kick. Upgraded black satin stainless Whirlpool range, microwave, dishwasher & refrigerator. Easy care ceramic tile in all the Living Spaces. Numerous cooling fans throughout. Open den easily converted to 3rd bedroom. Guest suite also has attached full bath for privacy. Master bath has double sinks and large walk in shower. 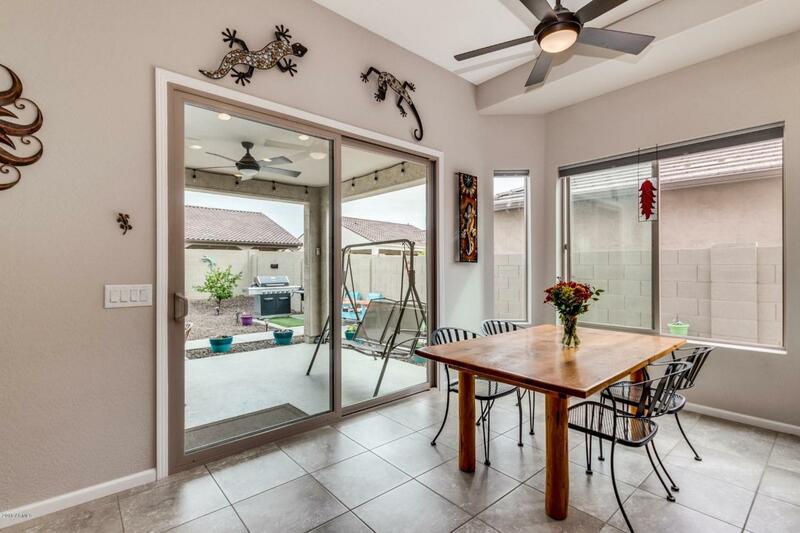 Enjoy covered patio and no maintenance faux grass. Cement pad with electric. Garage shelving. 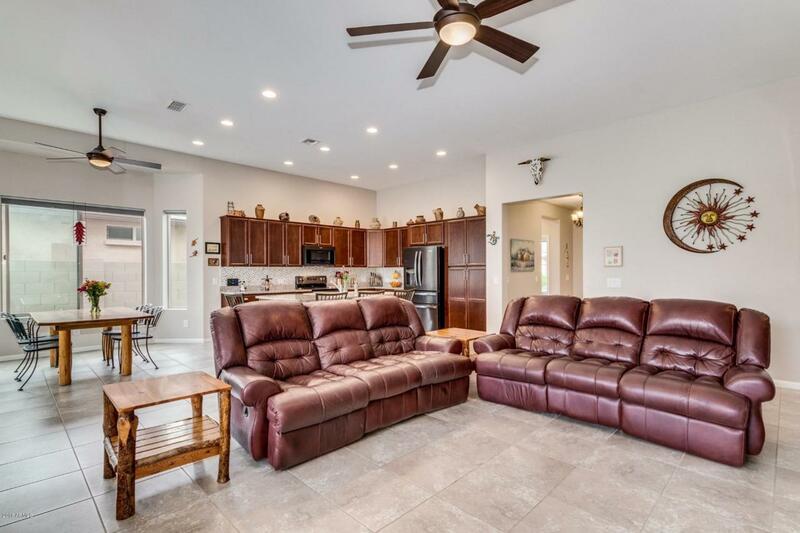 Enjoy 2 golf courses, numerous pools, fitness center, arts center & more!